If you can put in the time and effort – and become a member of the community garden – the Rio Grande Community Farm provides almost everything else you’d need to have a garden either for yourself or as part of a community effort to feed those in need. Furrow irrigation, tools, seeds and even support for the new gardener are all provided in the community garden. Workshops are available to everyone in the community and usually cost a mere $5. Upcoming sessions should be posted soon. This entry was posted in Attraction Recommendations, Local Attraction, Outdoor and tagged ABQCityLife, Albuquerque, APPCityLife, City of Albuquerque, Gardening, Los Poblanos Open Space, New Mexico, Rio Grande Community Farm. Bookmark the permalink. Thank you so much for this post! The Community Garden is run by the Rio Grande Community Farm (www.riograndefarm.org), not the Los Poblanos Open Space Foundation (I don’t think there is such a thing). 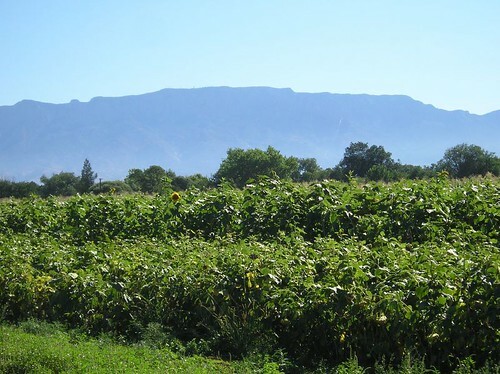 It is, however, located on Los Poblanos Fields Open Space, a beautiful agricultural property in the north valley. Unfortunately, the link to our workshops is outdated, but we’ll get this years workshops up on the website ASAP. Thanks again! Thanks for the info, Stephanie. I’ve corrected the post above and removed the outdated workshops; there was no year on the website, so I didn’t realize they weren’t for 2011. Please let me know when you have new ones scheduled, and I’ll edit the post to add them in. You all are doing some very nice things for our community!